From the Greek pyr, fire, probably with reference to fever, since the plant was used medicinally to assuage fever (Compositae). 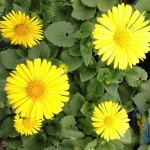 These hardy plants are admirable for a sunny border and last well as cut flowers. 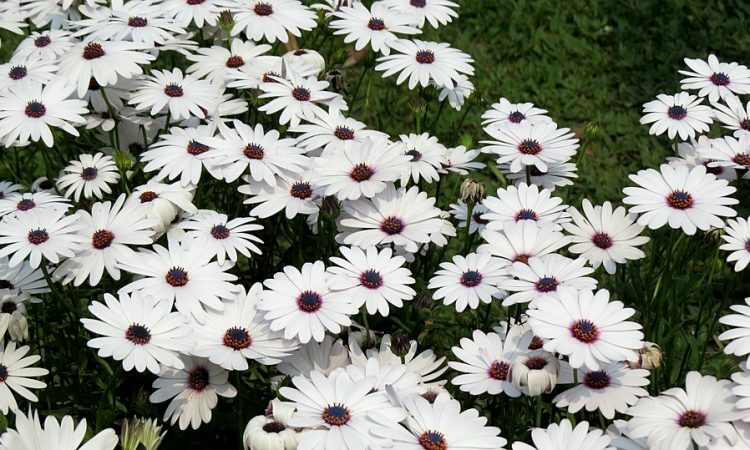 Long known as pyrethrum they are botanically classified under Chrysanthemum. Species cultivated P. roseum (syn. 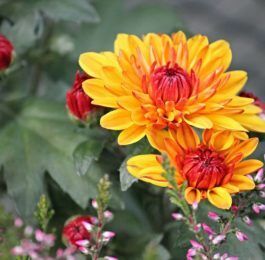 Chrysanthemum coccineum), 1-2 feet, with large, daisy-like flowers in May and June. The colour is variable from red to white, occasionally tipped with yellow. The leaves are vivid green, graceful and feathery, Caucasus and Persia. There are many hybrids, both single and double. Single 2-2 1/2 feet, ‘Allurement’, rich pink; ‘Avalanche’, pure white; ‘Brenda’, bright carmine; ‘Bressingham Red’, large crimson; ‘Eileen May Robinson’, clear pink; ‘Kelway’s Glorious’, glowing scarlet; ‘Salmon Beauty’, bright salmon-rose. Double 2-2 1/2 feet, ‘Carl Vogt’, pure white; ‘Lord Rosebery’, velvety red; ‘Madeleine’, lilac-pink ; ‘Yvonne Cayeux’, pale sulphur-yellow. For the plant sometimes listed as Pyrethrum parthenium, the feverfew, see Chrysanthemum parthenium. Cultivation A well-drained loamy soil and a sunny position suit pyrethrums best. though they will grow well on chalky soils. They require ample moisture when coming into bud and during the growing season. 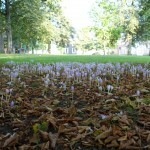 Plant in March and leave them undisturbed for three or four years. 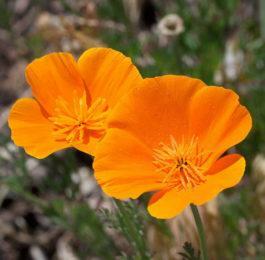 If left longer the plants will deteriorate and the flowers become smaller and fewer. Lift and divide in March or after flowering in July, discarding the old, woody pieces. Each year cut the plants hard back after flowering. 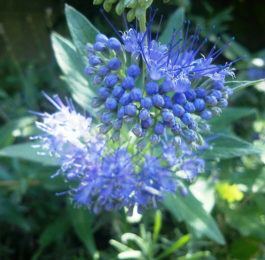 This often results in a second crop of blooms in late summer or autumn. Slugs and rabbits can be a menace but of course, weathered ashes are scattered around and over the crowns in the autumn this will deter them, as will slug pellets. The plants are somewhat floppy in habit so some light staking should be provided. Propagation is by division in March or after flowering in July, or by seed sown in a cool greenhouse or frame in spring. (See also Chrysanthemum, C. coccineum).